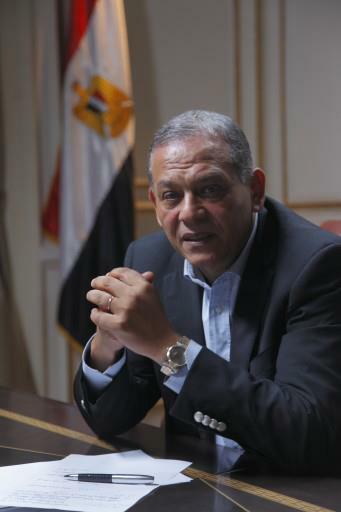 Anwar El Sadat, Chairman of Reform & Development Party, urged the leaders and members of the NSF to review their position after threatening to boycott the upcoming parliamentary elections. He argued that such a step will only entrench the rule of the Muslim Brotherhood for many years to come. It will also enable them to control the joints of the state and implement their policies as they wish within the frame work of legitimacy and law. El Sadat pointed out that the experience of boycotting the Shura Council was not helpful. Instead, it helped to pass many laws which could have been obstructed until the election of the House of Representatives to which the legislation powers will devolve. In addition, withdrawal from the constituent assembly of the constitution did not disrupt its work and the constitution was passed despite it caused sharp controversies. That requires us as opposition to unite our efforts and prepare for a strong electoral battle to drop the Brotherhood if there are adequate guarantees for fair elections. El Sadat stressed the NSF and the opposition movements as a whole must meet with the members of the Judges Club and encourage them to supervise the electoral process. We must also not forget the rights of the voters, who need representatives in the Parliament to help them meet their demands and solve their problems.